Prelude Music Classes for Children - Prelude's Blog - You're Asking Me to Do WHAT? I confess that when I raise my voice at my own kids in anger, the anger is usually followed by worry – am I teaching them to yell? To lose patience? In other words, our parental instincts tell us that children inherit behavior from us, the adults who love them. It’s also true about music-making! Just as they model our other behaviors, children tend to model singing and dancing when we demonstrate it ourselves. 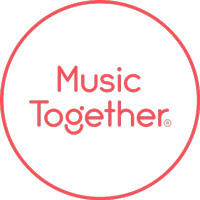 This idea is so fundamental to Music Together® that it comprises our third philosophy: The participation and modeling of parents and other primary caregivers is essential to a child’s musical growth.